Совместимость: Требуется iOS 9.1 или выше. Getting the true meaning of Laotian(Lao) word is hard these days. Getting the right spelling is even harder. 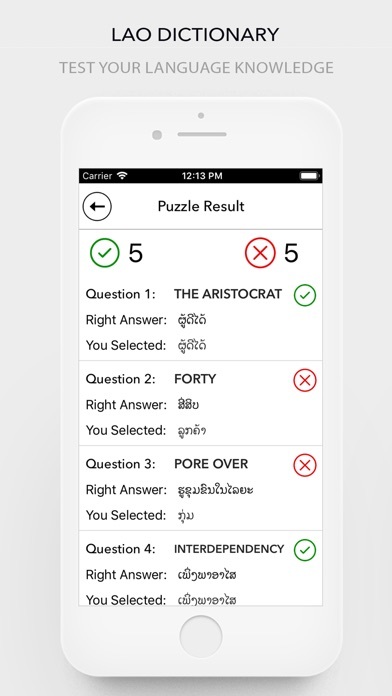 Lao Dictionary is here to help you solve that solution with a cheaper solution and on the go. 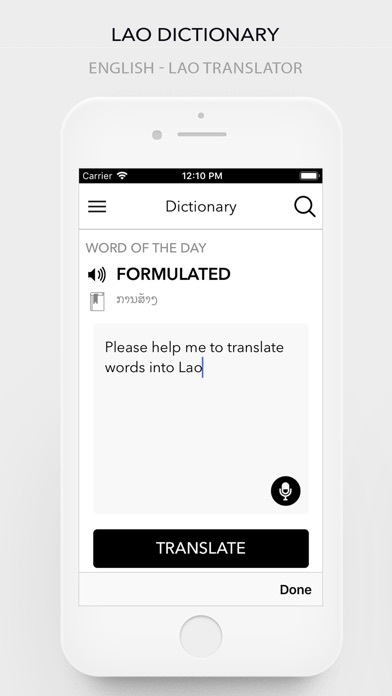 Laotian(Lao) Dictionary consists of more than 50,000 words for English - Lao translation. You can search any English word and then click on it to read its meanings in Lao. Meanings are displayed in real lao language. You can also add new words in this app. 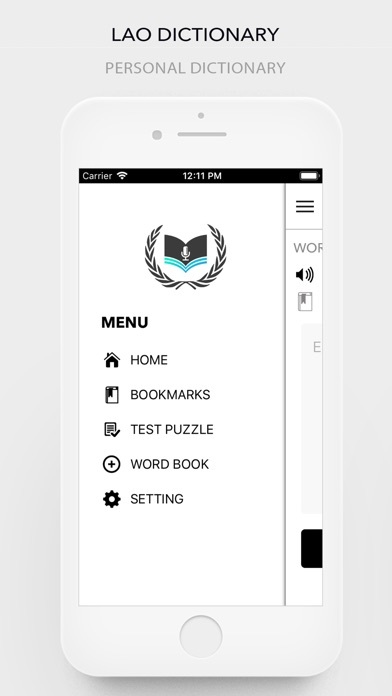 This app also contain feature to add your bookmark words, you can search any english word and get its meaning. All of these available for you on the go, everywhere you go, and no need internet access. All working offline and you can even add your own words to keep your memory of word you just learned along the way.